I have really embraced the yoga trend in the past several years. Not just the clothing but the actual practice of yoga. I enjoy how it makes me feel and how it strengthens my body. I am all about finding chic pieces to wear to yoga class and beyond. 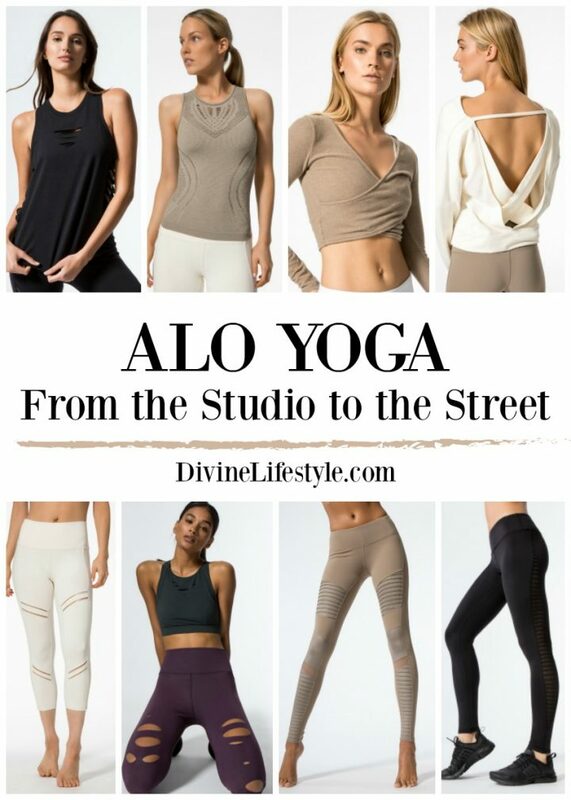 We hope that you love this Alo Yoga Trends from Studio to Street post. 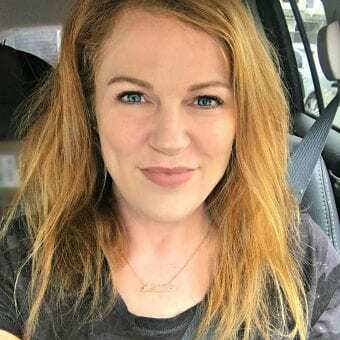 The Lark Tank by Alo Yoga in gravel heather is a fitted performance tank with perforations for ventilation, crew neckline and cut-in shoulders in a pullover style. The Slay Long Sleeve by Alo Yoga in black is an everyday layering staple in a super-soft, breathable fabrication. Slash-detail sleeves add a fashion-forward element, ensuring ultimate versatility for your workout to weekend activities. The Goddess Legging by Alo Yoga in eggplant and black is a full-length legging with moisture-wicking properties and 4-way stretch. These leggings feature ruched detailing along lower legs, while flat seaming and gusset lining provide an ultra smooth, comfortable fit. With a hidden card pocket in the waistband, you can take your small essentials with you without compromising comfort or style. The High-Waist Cosmic Capri by Alo Yoga is a cropped performance legging with mesh detailing and body-mapped contoured seaming engineered to lift, sculpt, contour and smooth. 4-way stretch fabric lends a fit and feel that will move with you with moisture-wicking antimicrobial technology for a cool and comfortable workout. The Cut It Out Tank by Alo Yoga in black features a relaxed silhouette with slash details. This effortlessly cool staple can be layered over your favorite sports bra for the perfect studio-to-street look. The Wanderer Long Sleeve Top by Alo Yoga in white is a long sleeve performance top with engineered cutout details for ventilation and style. Free of side seams with allover body-mapping seamless construction and four-way stretch, this layering piece has a fitted feel with raglan sleeves for ease of movement in any activity. The Moto Legging by Alo Yoga is a full-length, mid-rise performance legging comprised of matte-shine fabric with mesh detail. Moisture-wicking, quick-drying and antimicrobial fabric performs while quilted stitching at legs offer texture and a bit of edge. A hidden waistband pocket allows you to carry your essentials, making for easy transition from the studio to the street. The Uplift Long Sleeve Top by Alo Yoga in pristine is a long sleeve fleece top with a draped neckline. Featuring an ultra-feminine open back with crisscross straps, this top is the perfect layering piece over any bra. The Amelia Long Sleeve Crop by Alo Yoga in gravel is a lightweight knit top that's versatile and reversible. Wear the cross-back twist in front or back depending on your mood and style. Stretch knit moves as you do for unencumbered movement in any activity. The High-Waist Ripped Warrior Legging by Alo Yoga in eggplant is a high-waist, full-length legging comprised of moisture-wicking fabric with 4-way stretch. These leggings are engineered to lift, sculpt, and contour the body. Featuring ventilated laser-cut detailing, these leggings add an edgy element to your daily routine. The Interlace Long Sleeve Top by Alo Yoga in white is a super-soft rib knit top with lace-up detailing at front. 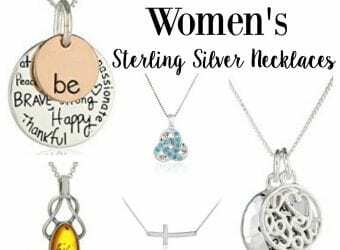 Pair with your favorite denim or leggings for an edgy pared-down look.